There’s nothing like a beautifully-wrapped gift, but what’s the best way to literally make it all come together? 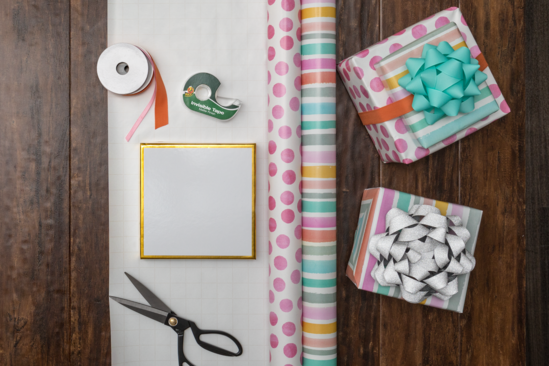 Use our handy guide to help choose the best tape for all your holiday gift wrapping. Using flat-finish wrapping paper for a subtle or rustic look? Be sure to seal the deal with Invisible Tape for a perfect finish. This non-glossy invisible tape is frosty on the roll and goes on smooth with a matte finish that's writeable too, making it ideal for gift wrapping and labeling. 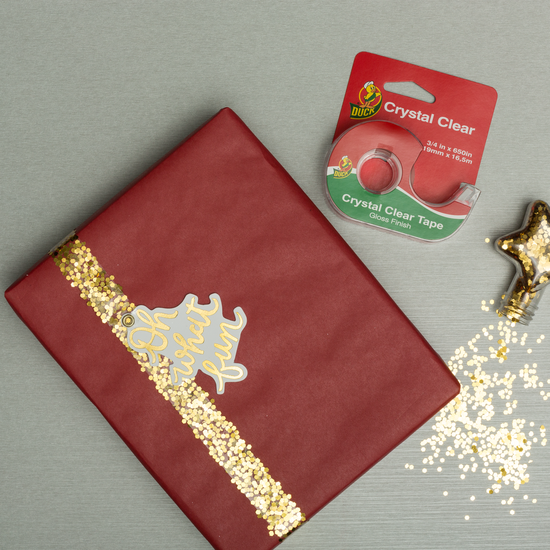 Looking to really make a splash with foil or prism wrapping paper? Use Crystal Clear Tape in tandem for an unbeatable look. Its translucent, gloss-finish goes on extremely clear so your gift always takes center stage. It’s even perfect for challenging wrapping paper like those with foil and glossy finishes. Are you a present professional? 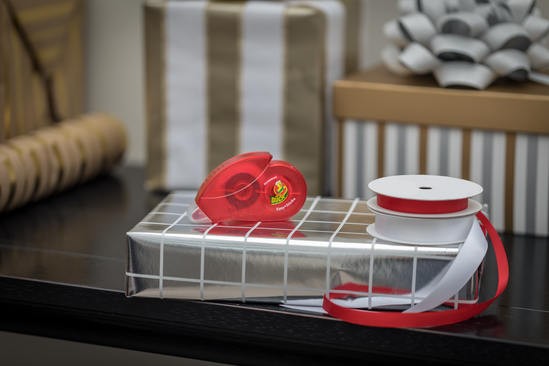 Advanced wrappers can use Easy Stick® Adhesive Roller to help assemble an elaborate look. This quick alternative to conventional invisible tape features an easy-to-use roller that can be applied in a straight line or curved around corners for those hard-to-wrap items. Jazz up an old picture frame with your favorite Duck Tape® colors and prints!